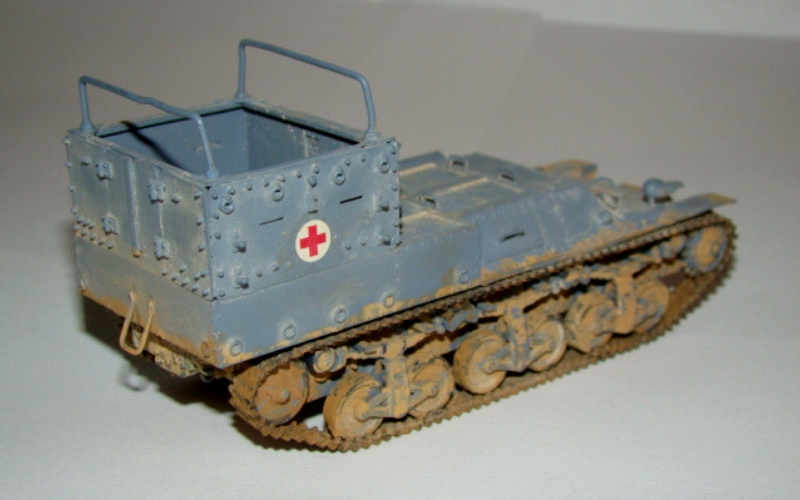 Daniel took the time to muddy up the tracks of RPM Models' 1/35 scale Sd.Kfz.135 Ambulance Lorraine 38L (No. 35057). This light tracked armored vehicle acted as a troop carrier during World War II. To leave a comment you must be a member of our community. Login to your account now, or register for an account to start participating. Comments on this post must be approved by a moderator before they will appear on the site. Please allow up to 24 hours for your comment to be approved. Thank you. Unable to connect to commenting service.